Calling all my oily skin peers! The easiest way to get rid of the oil buildup that naturally happens throughout the day isn't by powdering your face, it's by blotting the oil away. When you powder your face you're going to be adding layer upon layer of makeup. That will not only cause a cakey appearance, but it might also clog your pores which can result in more breakouts. I've been using the Clean & Clear Oil Absorbing Sheets ever since high school because they're very affordable and they show instant results. You will know that the sheets are working when they go from foggy to clear, and if you're anything like me you might need two. The best thing is that Clean & Clear Oil Absorbing Sheets come in a very slim packaging which means that it'll easily fit in a guy's pocket, school backpack, or makeup bag. Save the stress for your schoolwork, not your skin. Whether you're a girl or a guy, everyone should be washing their face at the end of the day. If you're a girl, then before you start cleansing you have make sure to remove all of your makeup. 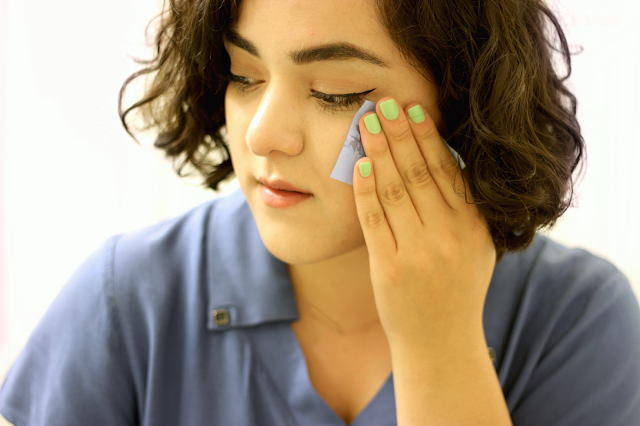 A very quick and easy way to do just that is by using a makeup remover wipe such as the Clean & Clear Makeup Dissolving Facial Cleansing Wipes. 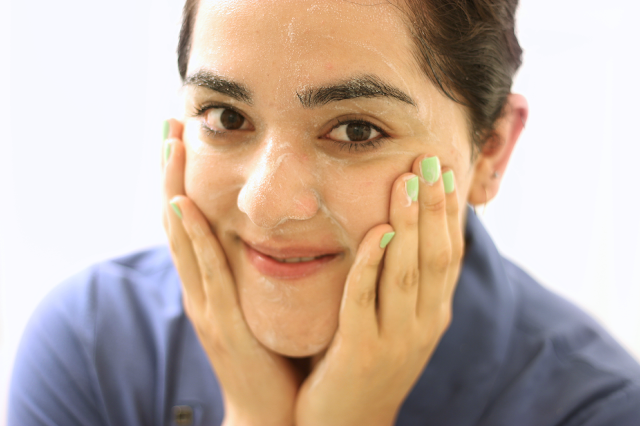 After removing your makeup make sure to follow up with a cleanser, that way you'll actually be cleaning your pores instead of focusing on just the surface of the epidermis (yes, I'm busting out the anatomy terms for this post). The Clean & Clear Night Relaxing Deep Cleaning Face Wash is a great option for students because it effectively cleans your skin and removes dirt, oil, and makeup. The combination of both steps will only take 5 minutes maximum, which means that you can easily go back to hitting the books or go to bed. And I'm not going to lie, the smell of the Night Relaxing Deep Cleaning Face Wash took me back in time to my freshman year of college. 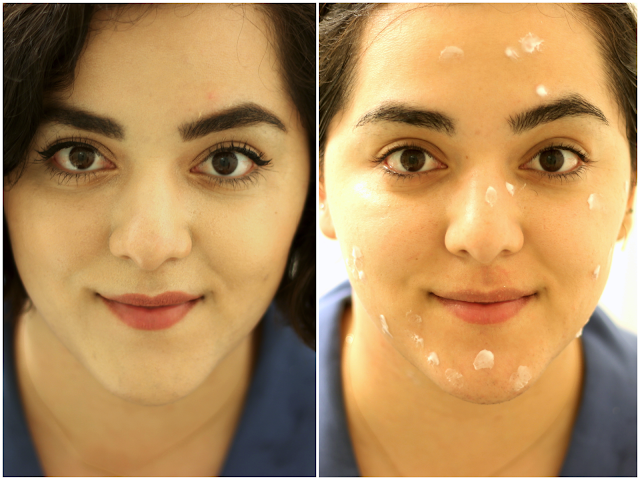 I'm 25 years-old and I still struggle with acne! It's completely normal to be past your high school years and still suffer from acne, so please don't stress out over a spot on your face. The Clean & Clear Persa Gel has been one of my favorite spot treatments since my adolescence because my skin reacts really well to the benzoyl peroxide. 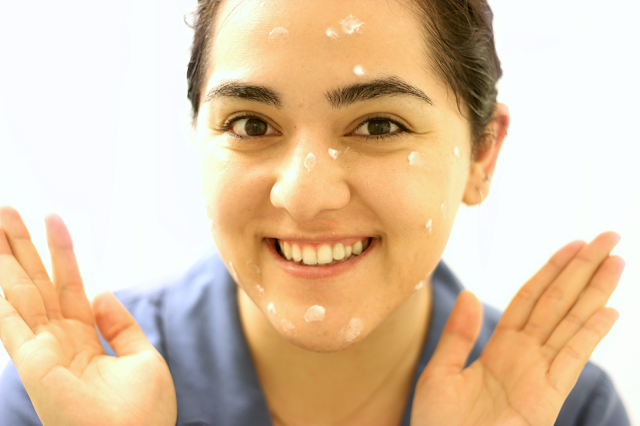 The Clean & Clear Persa Gel contains 10% benzoyl peroxide, which is amazing for combatting acne all over your face. This is also a fantastic option for finals week, because if you're anything like me then you start getting acne when you're very stressed. All I would do was apply a bit of the spot treatment on emerging breakouts to prevent them from becoming huge whiteheads or dark post-acne marks. And there we go! A quick and easy way to take care of your skin while you're in college using the very affordable and effective products by Clean & Clear. A skincare routine doesn't need to be complicated, time consuming, or expensive. 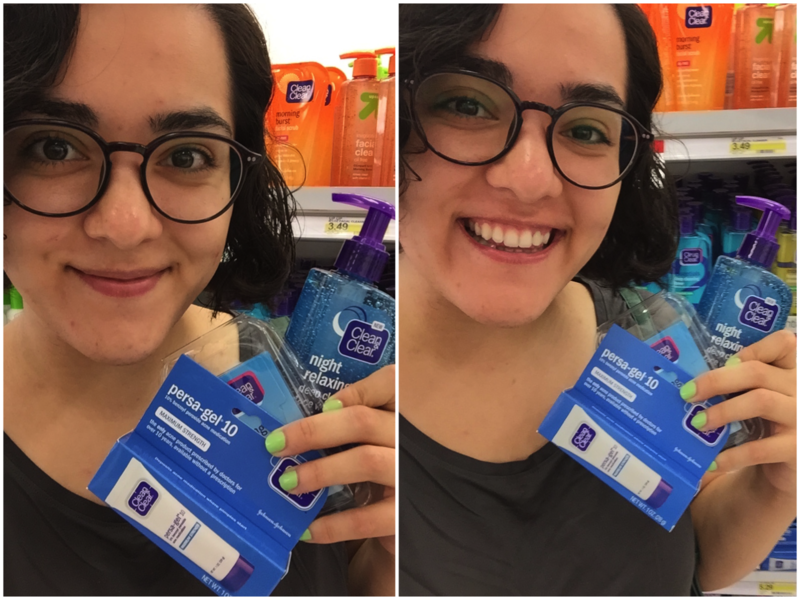 Before becoming a skincare aficionado, I would do pretty much all my skincare shopping at Target and I still do a lot of my skincare shopping to this day. Did you think I was going to do a whole blog post about "skincare tips for college" without giving you some throwback pictures? 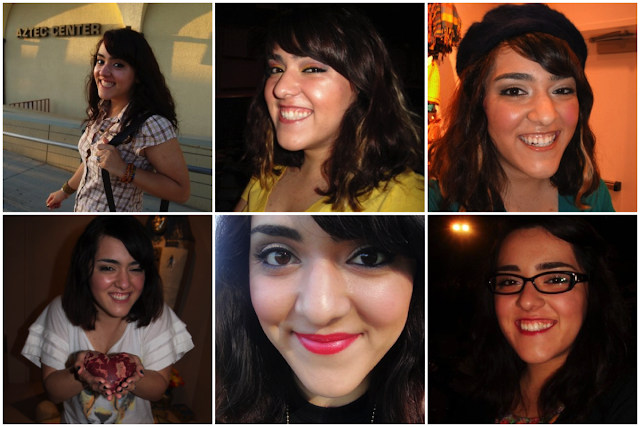 My hair, makeup, and personal style definitely changed a lot while I was in college. I had less than perfect skin in college and I still do, but it's honestly nothing you need to stress out about. Don't forget to check out Target for all your #SchooledByBeauty and back to school necessities. And if you'll be picking up some Clean & Clear items for yourself, make sure to pick them up from July 12th-August 22nd! Target will have all Clean & Clear items 10% off during that time period. To stay on top of any Clean & Clear related news make sure to follow them on Facebook, Instagram, or Twitter. Also be sure to check out more awesome skincare tips over at the Clean & Clear site. I'd love to hear what your favorite product is in the comment below! I would also love to know what you are studying in college/university. I'm sure I've mentioned this before but I majored in French & Francophone Studies and minored in European Studies. 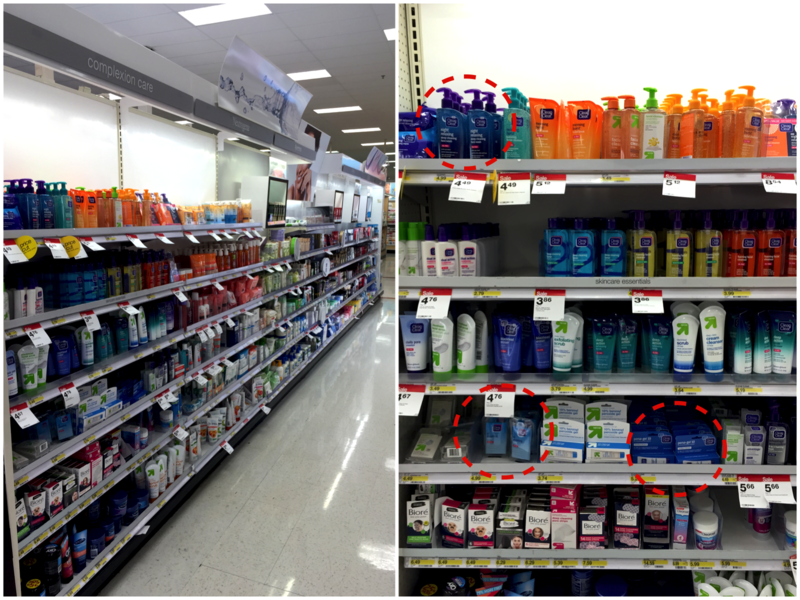 Disclaimer: This is a sponsored blog post with #CollectiveBias, Target, and Clean & Clear. I personally felt that this was appropriate for my blog and the whole blog post contains personal tips and stories.